Blair Preston Jewelry address, phone, website, hours of operation, and more. 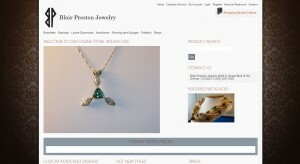 We are a small custom jeweler located in beautiful Denver, Colorado. Although our shop is small we are working to cultivate a growing base of loyal, discerning, customers that appreciate the great prices and exceedingly high standards of craftsmanship of Blair Preston Jewelry. As a small independent custom jeweler, we are able to buy Gold, Diamonds, and other precious metals at substantially Higher Prices than our competition. If you have any broken or unwanted Gold jewelry bring it by or call for a quote. We can also trade toward jewelry in our showcases or towards a custom piece at an even higher rate.